A Microsoft certified Process Technologies Solution for food, pharmaceutical and chemical industries. A product conceived and especially designed for fractioning sectors where quality demands, control, accuracy and compliance with each production step are key. The Sistema Integrado de Central de Pesadas y Fraccionamiento (SICPyF)© is the option that allows the optimization of productivity and efficiency at the plant, providing greater control and flexibility for fractioning processes. Central control of operations at each fractioning post, type of scale, cleaning, gauging, workers, etc. Validation of materials to be fractionated, management of prescriptions (steps) and campaigns. 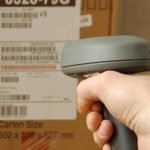 Data Capture with bar codes or RFID EPC. Integration with different types of scales and ERP (Enterprise Resources Planning) Systems (SAP, Oracle J. D. Edwards, BPCS, PRISM, Protean). Assignment of tasks and alternative procedures for contingencies. Control and quality assurance per procedure and GMP, FDA and ANMAT standards for raw materials and finished products. Guaranteed use of a fractioning methodology, avoiding pollution and mistakes. The most powerful solution in optimization of the supply and storage chain! If you are thinking of an IT solution to module and optimize processes, transactions and operations in the supply and storage chain, Lot Tracking offers you a comprehensive tool which covers supply logistics, stock management and distribution improving stock administration and reducing operation costs and times. Tracking y Tracing result of an adequate control of operations. Automated Data Capture. Using Radio Frequency, Hand Held, Scales, PLCs, Scada and others, supporting an agile operation with IT systems, data reliability and management control. Quality Management using “quality statements” per Lot/ Module/Box/Movement Unit. Web Capture of Customer Orders and Resupply of Warehouses with approval circuits and stock programming functionalities. Lot Tracking is a development conceived by our Process Engineers together with the Software Development area, with the result of a unique and complete tool for the most complex and demanding operations. We have been providing our knowledge and tools to the logistic chain for almost 30 years now at such companies as Kraft Foods,Elea, Refinerías de Maíz, Flora Dánica, Gador, Mc Key, Kimberly Clark, Cargill and Phillip Morris, to name but a few. Lot Tracking is developed on MS Windows® or DB2 400 technology and has the capacity to communicate with all management systems (SAP, Oracle J. D. Edwards, BPCS, PRISM, Protean) and your company’s own developments. Implementation committed to your business to ensure success! In addition to the powerful Lot Tracking tool, Process Technologies professionals approach their jobs from a practical perspective, the operation of your company being key to project success.